Domino's Pizza in West Belfast. Have you got Google Earth on your computer? If so, then download the Google Earth Map of Domino's Pizza West Belfast. 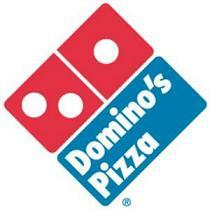 Is this the wrong position for Domino's Pizza West Belfast? If you think so, then modify its position. Usually order from antrim rd branch and never had a problem yet. A week ago I had to order from west Belfast branch as it was after 12am. Ordered though the app...45 mins later got an update saying it was being delivered...half hr later had to ring as it still wasn't delivered the guy on phone said ring back if its cold which it was..box actually had a hole in it it was that soggy so I rang by this time it was 1.45am so I told them to put it on my credit as I was ready for bed and didn't have another hr and a half to wait! Which he was happy to do and credited me with the £18 I'd spent so last night I rang to get it only to be told there was nothing on my account and there was nothing they could do. The manager was very ignorant and didn't want to help in anyway. Has put me of ordering ever again I'm that disgusted! !